138 pages | 1691 Color Illus. New Pop-Up Paper Projects is an inspirational book for everyone who wants to learn and share the magic of pop-up paper engineering. Illustrated throughout with colour diagrams and photographs, this book guides you through basic techniques and foundation skills, offers advice on classroom planning and health and safety and shows you how to ensure that learners of all ages can develop and progress their skills. Thisbook, brimming with pop-up techniques and how to teach them, is for everyone – from the self-styled ‘visually illiterate’ to the art graduate, from parents keeping creativity alive at home to classroom teachers planning an engaging curriculum for their class of 30 plus pupils. As a primary school teacher, I can find design and technology projects a bit daunting. Almost nothing frustrates me more than having a class full of children making a mess with paper, scissors and glue. However, a book like this has the potential to transform that teacher’s nightmare into creative bliss, fuelling the children’s imaginations and turning those sheets of paper into imaginative and exciting creations. From a stand-alone project, something to keep children amused during free time, or a cross-curricular topic, this is a valuable resource for anyone who works with, or has, children. The book is divided into two main sections, with progressively harder designs. The instructions are clear and easy to follow, accompanied by labelled diagrams, which will appeal especially to visual learners. At the start of the book is a list of thematic contents, making it quick and easy to refer to something specific - from Little Red Riding Hood, to Macbeth, it could be an interesting way of engaging children in literature, for example, by bringing the stories alive. What I find particularly interesting about this book, is the fact that there are no precise measurements for the designs, making room for individuality and a little creative licence. Ultimately, as the author himself states, "making things with the hands is at the core of learning", and this book facilitates that in a wonderful way. I am looking forward to creating some interesting things with my pupils! 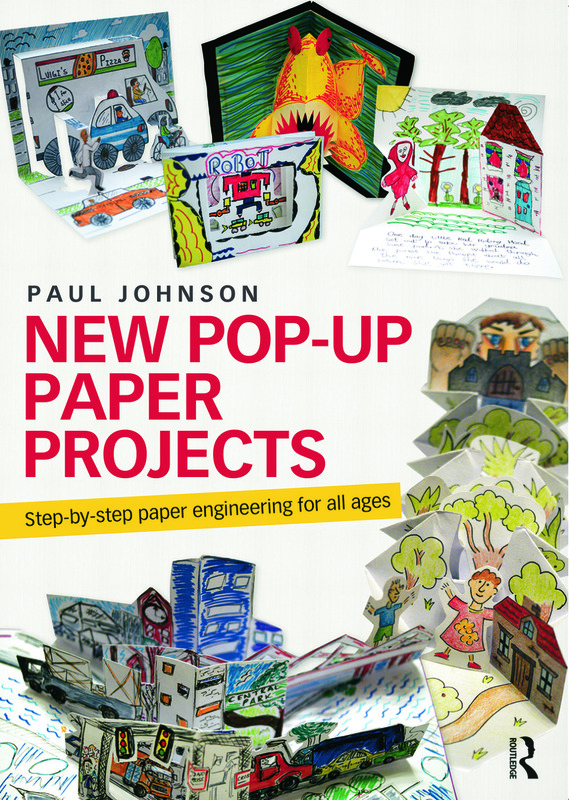 Paul Johnson has an international reputation for his pioneering work in developing literacy through the book arts and is author of over 15 titles including Pop-up Paper Engineering (Falmer, 1992). A successful book artist with work in the collections of the Cooper-Hewitt Museum in New York, the National Gallery and the Library of Congress in Washington, DC as well as many US universities, his work has been selected for a number of awards and exhibitions including Stand and Deliver, a US touring exhibition of pop-up editioned books.